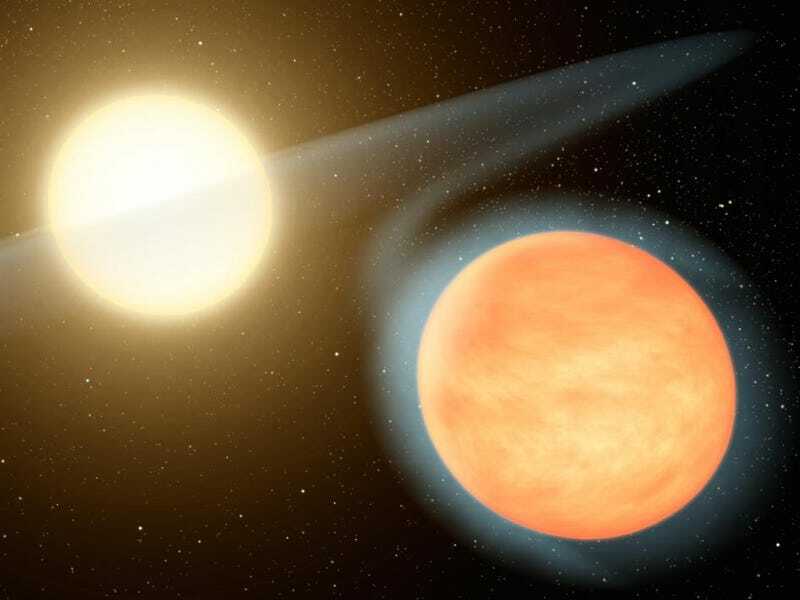 The extremely hot planet Wasp-12b has such a high carbon-to-oxygen ratio that scientists are saying that the planet's surface might be littered with diamonds. The lead researcher specifies: "You might see land masses and mountains made up of diamonds." Astronomers are saying that it's the first carbon-rich planet ever observed. Planets in our solar system typically have a 1 to 2 carbon to oxygen ratio, Wasp-12b, on the other hand, has more carbon than oxygen. Because of all that carbon (and that there's no water on the planet), astronomers believe that Wasp-12b could have diamonds in its core (but current technology is limiting them from seeing the actual core).